Arc bills itself as a "social media platform". Essentially, it's a downloadable client aimed at bringing online and MMO-style games together under a single program. Launch, play, interact with and keep track of virtual worlds from one interface, that's the idea. There's only a handful of offerings at the moment, and to be honest Torchlight stands out as a bit of a black sheep since it isn't really isn't a massively anything. But we're not gonna complain about free and cheap games. Well, we are, but only a little, you know? 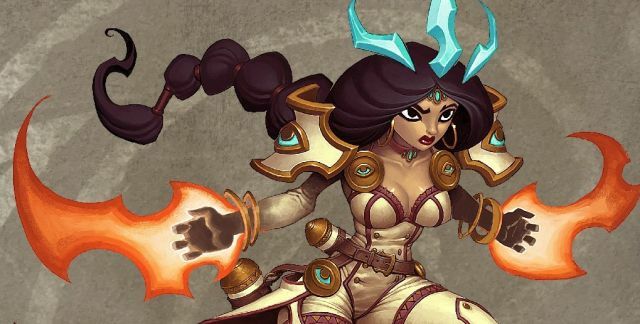 Torchlight 2 has sold well over two million copies since its release in 2012. Since then, developer Runic Games has released all sorts of modding tools (including the GUTS editor the team used to build the game), allowing the community to get started on some fantastic new content. Character tweaks, class changes, new pets, new items, new maps and new spells have been rolling out at a steady pace for the past year. It's the game that just keeps on giving!